With winter fast approaching it's time to start thinking about getting your car ready for Winter driving. Whether you are planning a ski trip, driving to visit relatives for the holidays, or just daily driving to and from work. Winter driving definitely has its challenges. The more you prepare yourself for these challenges the better off you will be. Here are a few tips from the NHTSA to help prepare. No matter the season you should always make sure your tires in good condition. 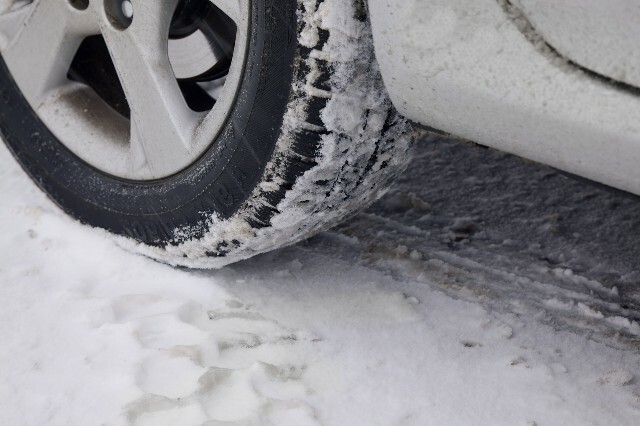 If you plan on using snow tires, make sure you have them installed before the snow starts. Make sure your cars various engine, safety, and comfort systems are all operational. Now is a good time to have your local service center check your battery and cooling systems as well as wiper blades, windshield washer fluid, defroster,and other important items. Make sure all the lights on your vehicle are in working order. Check your headlights, brake lights, turn signals, emergency flashers, and interior lights. Towing a trailer? Be sure to also check your trailer brake lights and turn signals. Trailer light connection failure is a common problem and a serious safety hazard. If you find a problem, get it fixed as soon as possible. Driving in winter weather can be a challenge for even the most seasoned driver. Make sure you are familiar with how your car handles in rain,snow, and ice. Be aware of the greater distance needed for braking. Drive slower, leave enough space between you and the car in front of you. Cary items in your vehicle to handle common winter driving needs, such as cleaning off your windshield, as well as any supplies you might need in an emergency. Snow shovel, broom, and ice scraper. Jumper cables, flashlight, and warning devices such as flares and emergency markers. Blankets for protection from the cold. A cell phone with charger, water, food, and any necessary medicine (for longer trips or when driving in lightly populated areas). Stay In: Avoid unnecessary trips during severe weather conditions. Stay Alert: Give the road your undivided attention. Keep Calm: If your vehicle begins to slide or skid, don't slam on the brakes. Look down the road in the direction you want to go and gently steer your vehicle that way. Release the accelerator until traction returns.